October marks the beginning of the year’s fourth quarter, which means that 2013 is rapidly hurtling toward its conclusion. In a few short months, New Year’s Eve will arrive and everyone will have to hang their new calendars for 2014. This means that small business owners have to start making preparations to ensure that they can end the year with a bang, not a whimper. Company leaders need to find creative plans for their promotional giveaways over the next two months. 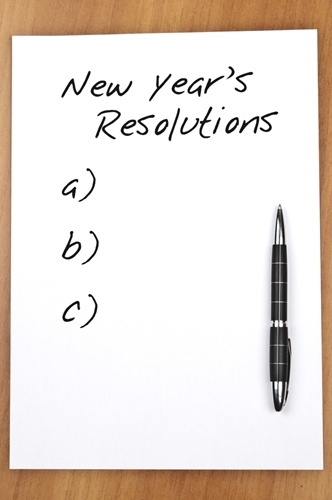 To that end, the following tips should help entrepreneurs get ready for 2013’s conclusion. Between Halloween, Thanksgiving and December’s seemingly endless parade of holidays, consumers have a great deal of commitments over the next three months. As a result, there are few dates on which small businesses can host their marketing events. Perhaps the worst strategy is to have giveaways on the days immediately leading up to a holiday. This is because most customers will be doing everything they can to prepare for their celebrations and won’t have time to stop at a local establishment to participate in a special event. Company leaders need to plan around the holidays to ensure that attendance will be high at every gathering. Taking time to account for when clients would actually be able to show up can go a long way toward ensuring that people will come to a giveaway during one of the busiest times of the year. Of course, providing the right incentives can ensure that customers will turn out in droves to a marketing event. That’s why entrepreneurs have to choose unique personalized business gifts for their clients. The end of the year is the season of giving so small business owners should have amazing presents waiting for all of the customers who show up at a giveaway. There are a number of promotional items that be suitable for such an occasion. Promotional mugs may be the best products to distribute to customers as winter creeps closer and closer. Customers will love these containers whenever they need a warm beverage to stave off the chills during colder months. Mugs are great for anyone who enjoys a nice cup of tea, coffee or cocoa when Jack Frost starts nipping at their nose. That said, other items would also motivate customers to attend a giveaway. For instance, promotional key rings, water bottles and magnets are all functional gifts that many consumers would love to receive as 2013 comes to close. Sending out holidays cards is a tradition in which many people participate. Small business owners can include this feature in their marketing plans by sending out personalized letters to loyal customers, either as invitations to year-end events or general well wishes. Company leaders can find cards for Thanksgiving, Christmas and ones that simply mark the end of the year. This allows entrepreneurs to choose when they want to get in touch with their customers. In some cases, enterprises may be best served to mail their letters for Thanksgiving. Many consumers send Christmas cards, so it’d be easy for one put out by a business to get lost in the shuffle. As a result, clients won’t realize that an organization took the time to wish every them well this season. Thanksgiving cards show that businesses care about their customers and want them to have a great holiday. This may be the best way to ensure that clients feel like companies value their relations, which can lead to increased attendance at giveaways through the end of the year.